Incapsula service was detected. What should I do to disable it? In simple terms, Incapsula is a multi-function CDN service, initially designed to boost the website’s workflow, filter malicious traffic, block everything from DDoS assaults to spamming attempts to more sophisticated database injection attacks, provide load balancing and preserve the web page against known and emerging threats, including SQL injections, remote file injections, cross-site scripting and more. Now, your Incapsula service is turned off, enable it when the switch is successfully finished. I keep getting the “Internal error occurred” message, what should I do? Though we’ve already found solutions to all common issues that might occur during migration procedure, and implemented them, sometimes a rare mistake can appear, caused by peculiar file types or file coding, absence or presence of certain extensions etc. If this kind of error pops up during the transfer, it’s best to contact our Support Team right away. Having both of your stores at hand, we’ll surely fix the problem. We guarantee that after running a troubleshoot once, the issue will be resolved for good. Can I migrate data from stores installed on WordPress Multisite? Yes, data can be migrated from stores installed on WordPress Multisite, but only in terms of Data Migration Service Package which includes assistance of Cart2Cart tech team. Due to technical restrictions, however, such transfer won’t be available via automated migration. Please contact our 24/7 support for more info. I keep getting the “HTTP Error Occurred” message, what should I do? This usually means that connection to your server can’t be established properly, or Cart2Cart’s Connection Bridge (file needed for data exchange) can’t reach your store’s database. Double-check if the links to your store on Migration Wizard are valid. Upload Connection Bridge manually - download, unzip the files and paste them to your store’s root folder via FTP. If that doesn’t help, contact our Support Team - we’ll gladly help you find a solution. The common reason of internal server error are incorrect permissions for bridge folder. Specify the file permissions 755 for bridge2cart directory. Specify the permissions 644 for bridge.php and config.php files in bridge2cart directory. If it doesn’t help, contact your system administrator who can provide you with server logs access for further error detection. Or request for technical help from your hosting provider. Incorrect access details to server database are specified in configuration file. Contact your system administrator to get the correct access. There are no read permissions for configuration file. Provide read permissions for the file or contact your system administrator. Security Token for my store was changed. Why is it so? Click ‘Continue Migration’ button on “My Migrations” page. Get to the 1st migration step and download the Connection Bridge one more time. Unzip it and paste to the store's root directory. After re-uploading the Bridge, proceed with your data transfer. When can I use my discount coupon? 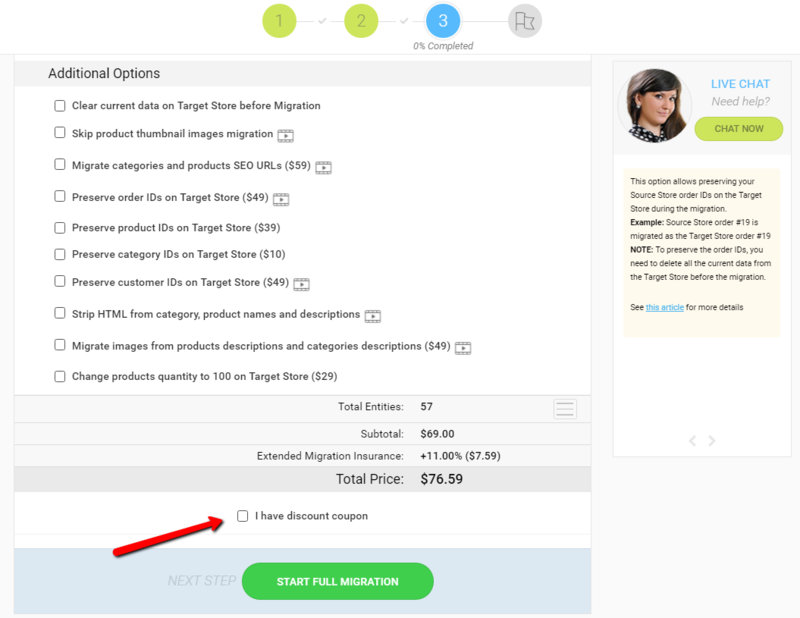 You will be able to use your discount coupon on a step of full migration confirmation. Simply put a tick in an appropriate checkbox and enter the promo code. What I should do if my migration process stopped on 99% for a long time? Sometimes, data transfer can proceed a bit longer than you’ve expected. If your Full Migration process stopped on 99% for more than an hour you should contact our Support Team. Please, do not implement any changes on the Target store. What should I do if my store MySQL database is sending error responses? 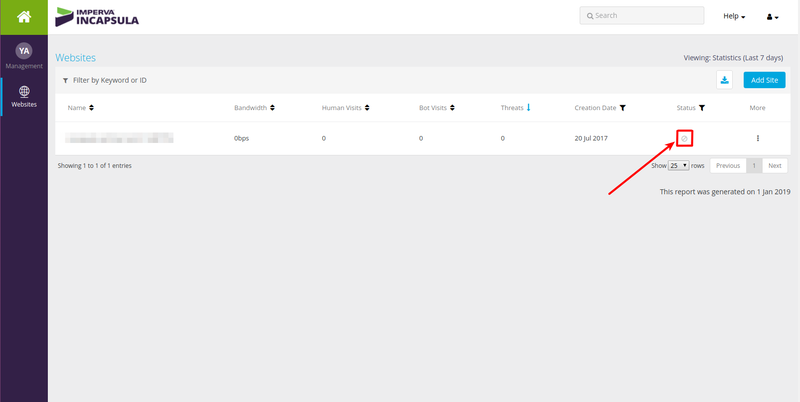 To setup connection to your store data Cart2Cart creates test queries to your database. If your database responses are not correct, the message “MySQL Response Error” will appear. It means that we have got connection to your store, but something went wrong while reading the responses. The best way to solve the problem is to submit a ticket to our Support Team. 300 Multiple Choices - indicates multiple options for the resource that the client may follow. 303 See Other - The response to the request can be found under another URL using a GET method. 306 Switch Proxy - No longer used.Originally meant "Subsequent requests should use the specified proxy." 307 Temporary Redirect (since HTTP/1.1) - In this case, the request should be repeated with another URL; however, future requests should still use the original URL. 308 Permanent Redirect - the request, and all future requests should be repeated using another URL. 400 Bad Request - the request cannot be fulfilled due to bad syntax. 403 Forbidden - the request was a valid request, but the server is refusing to respond to it. 404 Not Found - the requested resource could not be found but may be available again in the future. 407 Proxy Authentication Required - the client must first authenticate itself with the proxy. 408 Request Timeout - the server timed out waiting for the request. 409 Conflict - indicates that the request could not be processed because of conflict in the request, such as an edit conflict in the case of multiple updates. 411 Length Required - the request did not specify the length of its content, which is required by the requested resource. 412 Precondition Failed - the server does not meet one of the preconditions that the requester put on the request. 413 Request Entity Too Large - the request is larger than the server is willing or able to process. 414 Request-URI Too Long - the URI provided was too long for the server to process. 416 Requested Range Not Satisfiable - the client has asked for a portion of the file, but the server cannot supply that portion. 417 Expectation Failed - the server cannot meet the requirements of the Expect request-header field. 418 I'm a teapot - this code was defined in 1998 as one of the traditional IETF April Fools' jokes, in RFC 2324, Hyper Text Coffee Pot Control Protocol, and is not expected to be implemented by actual HTTP servers. 419 Authentication Timeout - not a part of the HTTP standard, 419 Authentication Timeout denotes that previously valid authentication has expired. 420 Method Failure - not part of the HTTP standard, but defined by Spring in the HttpStatus class to be used when a method failed. 420 Enhance Your Calm - not part of the HTTP standard, but returned by version 1 of the Twitter Search and Trends API when the client is being rate limited. 423 Locked - еhe resource that is being accessed is locked. 424 Failed Dependency - еhe request failed due to failure of a previous request. 425 Unordered Collection - defined in drafts of "WebDAV Advanced Collections Protocol", but not present in "Web Distributed Authoring and Versioning (WebDAV) Ordered Collections Protocol". 426 Upgrade Required - the client should switch to a different protocol such as TLS/1.0. 428 Precondition Required - the origin server requires the request to be conditional. 429 Too Many Requests - the user has sent too many requests in a given amount of time. 431 Request Header Fields Too Large - the server is unwilling to process the request because either an individual header field, or all the header fields collectively, are too large. 440 Login Timeout - a Microsoft extension. Indicates that your session has expired. 444 No Response - used in Nginx logs to indicate that the server has returned no information to the client and closed the connection. 449 Retry With - a Microsoft extension. The request should be retried after performing the appropriate action. 450 Blocked by Windows Parental Controls - a Microsoft extension. This error is given when Windows Parental Controls are turned on and are blocking access to the given webpage. 451 Unavailable For Legal Reasons - defined in the internet draft "A New HTTP Status Code for Legally-restricted Resources". 451 Redirect - used in Exchange ActiveSync if there either is a more efficient server to use or the server cannot access the users' mailbox. 494 Request Header Too Large - Nginx internal code similar to 431 but it was introduced earlier. 495 Cert Error - Nginx internal code used when SSL client certificate error occurred to distinguish it from 4XX in a log and an error page redirection. 496 No Cert - Nginx internal code used when client didn't provide certificate to distinguish it from 4XX in a log and an error page redirection. 497 HTTP to HTTPS - Nginx internal code used for the plain HTTP requests that are sent to HTTPS port to distinguish it from 4XX in a log and an error page redirection. 499 Client Closed Request - used in Nginx logs to indicate when the connection has been closed by client while the server is still processing its request, making server unable to send a status code back. 500 Internal Server Error - a generic error message, given when an unexpected condition was encountered and no more specific message is suitable. 501 Not Implemented - the server either does not recognize the request method, or it lacks the ability to fulfill the request. 502 Bad Gateway - the server was acting as a gateway or proxy and received an invalid response from the upstream server. 503 Service Unavailable - the server is currently unavailable (because it is overloaded or down for maintenance). 504 Gateway Timeout - the server was acting as a gateway or proxy and did not receive a timely response from the upstream server. 505 HTTP Version Not Supported - the server does not support the HTTP protocol version used in the request. 506 Variant Also Negotiates - transparent content negotiation for the request results in a circular reference. 507 Insufficient Storage - the server is unable to store the representation needed to complete the request. 508 Loop Detected - the server detected an infinite loop while processing the request. 509 Bandwidth Limit Exceeded - this status code is not specified in any RFCs. Its use is unknown. 510 Not Extended - further extensions to the request are required for the server to fulfill it. 511 Network Authentication Required - the client needs to authenticate to gain network access. 520 Origin Error - this status code is not specified in any RFCs, but is used by Cloudflare's reverse proxies to signal an "unknown connection issue between CloudFlare and the origin web server" to a client in front of the proxy. 521 Web server is down - this status code is not specified in any RFCs, but is used by Cloudflare's reverse proxies to indicate that the origin web server refused the connection. 522 Connection timed out - this status code is not specified in any RFCs, but is used by Cloudflare's reverse proxies to signal that a server connection timed out. 523 Proxy Declined Request - this status code is not specified in any RFCs, but is used by Cloudflare's reverse proxies to signal a resource that has been blocked by the administrator of the website or proxy itself. 524 A timeout occurred - this status code is not specified in any RFCs, but is used by Cloudflare's reverse proxies to signal a network read timeout behind the proxy to a client in front of the proxy. 598 Network read timeout error - this status code is not specified in any RFCs, but is used by Microsoft HTTP proxies to signal a network read timeout behind the proxy to a client in front of the proxy. 599 Network connect timeout error - this status code is not specified in any RFCs, but is used by Microsoft HTTP proxies to signal a network connect timeout behind the proxy to a client in front of the proxy. How to create customer groups? Cart2Cart provides a possibility to map your customer groups from Source cart with those that will be displayed on Target cart. Pay attention, that Customer Groups need to be already created on your Target Store, in order to map them during the migration. If you don’t have Customer Groups created on Target cart, here you can see how to do that. To create customer groups in Magento you have to go to Customers -> Customer Groups and click Add New Customer Group in the top right of the page. 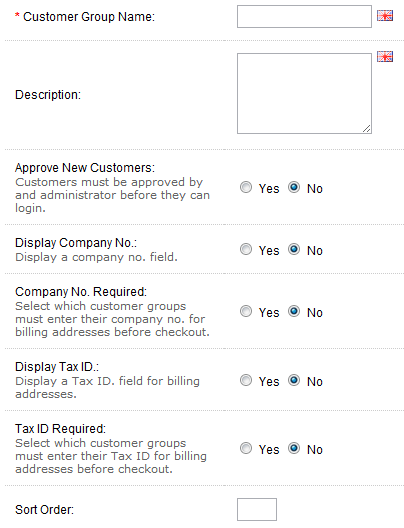 Group Name - You have to enter the name of the Customer Group as if will appear throughout the admin. Tax Class - Each Customer Group will be assigned to a Customer Class Tax. Tax classes will not be assigned directly to customers, but rather to Customer Groups, which are then assigned directly to customers. After that simply click “Save Customer Group”. To create Customer Groups on PrestaShop, navigate to Customers -> Groups . There you will see 3 default Customer Groups - Visitor, Guest and Customer. To create a new one click "Add New" and fill in a form. Name - how your Customer Group is going to be called. It is recommended to use short and descriptive name. Discount - a discount that will be applied to members of the group. it will be applied to all products on your shop. Price display method - here you can include or exclude a tax. Show prices - decide if you want customers to see the prices. To create a new Customer Group on OpenCart, go to the Sales -> Customers -> Customer Groups page . Above the list, click the "Insert" button. There you will have to provide Customer Group Name, Description, approve or disapprove customers logins into their store account, allow the customer to select their company no. or Tax ID. Bridge is located in the wrong directory. It should be located in the root directory of your store. Configuration file is missing or its location is incorrect. The error may also occur if the configuration file was renamed. The cart is not supported. Bridge is installed correctly, however the shopping cart is not identified by the service and so configuration file cannot be found. Check if your shopping cart is in supported carts list. Configuration file is not readable. Provide read permissions for the file or contact your system administrator. Cart Type you have selected is invalid or some required database tables are missing/corrupted! The request for the server is too large. Increase the value of parameters memory_limit and post_max_size in PHP configuration. If the module suhosin for PHP is installed on the server, increase parameter suhosin.post.max_value_length. Usually, the value of 32 Mb is enough. Check if bridge location is correct. It should be located in the root directory of your store. Check if store URL was provided correctly. If the above issues are not causing error, you should check .htaccess file which is located in the root directory of your store. Make sure there are no redirects or other directives which can block access to the bridge. You may contact your system administrator for detailed instructions. Access to certain files or folders is limited. Check the access permissions. For bridge2cart folder specify the file permissions 755. For files in the folder specify permissions 644. Contact your system administrator to find out if there are no access restrictions for bridge file. Usually, restrictions are specified in .htaccess file. Rename your home page to index.shtml, index.html, index.htm, index.phtml or index.php. Set a different default home page in your .htaccess file. Make sure that access to shopping cart content is not blocked with HTTP Basic Authentication. HTTP Basic Authentication is a protection method which requests additional login and password to access webpage or other resource. Check if your store content is available online during migration performance. "/bridge2cart" folder - 755 (if bridge.php permission is set to 644) or 777 (if bridge.php permission is set to 666), depending on your server configuration. If you face some troubles while setting the permissions, please contact our Support Team. Store images directory is not writable or doesn't exist. Path to image directory doesn’t exist. Create image directory. Path to image directory doesn’t correspond to the path specified in store configuration. There is no access permissions required. Set the write permissions (chmod -R 777 [images_dir]) to images directory and to ALL subfolders/files it contains. The shopping cart may use non-default image directory. In this case contact Support Center of your shopping platform. If Target store is Magento fresh install, create folders catalog/category and catalog/product in the folder media. In the case of such issue you should check the language configuration on your store. The shopping cart must have at least one language used by default. Check if store is available online at the moment. The firewall may block certain IP requests. For more details on the issue contact your system administrator or hosting provider Support. Web browsers request for information from the server, and when it is performed, it sends an Accept header. In case if the server is not able to send that data in the requested format in the Accept header, then the server sends the 406 Not Acceptable error. The 406 error can appear accordingly to your mod_security rule on the server. Mod_security is a security module of Apache web server, usually permitted automatically on all hosting profiles. In case if a site, page or even function violates one of the rules, server can send the 406 error. You can turn mod_security off. Also, there is a possibility to disable a specific rule or each domain individually. Thus, if you wish to disable mod_security, go to mod_security using modsec manager plugin in control panel. Note: There may not be the option of turning mod_security on/off in your cPanel or dedicated servers. In such cases, use command line using SSH or contact tech support to enable/disable this option. If you have any questions, contact Cart2Cart Support Team and get all the answers in no time.